The gourmet flavor of a banana cake truffled with walnuts that quickly becomes a must for DIY. A very fragrant aroma that first puts forward the pastry taste to finish on a discreet banana line. 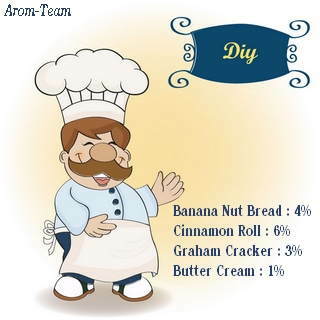 Try a banana bread with applesauce, a pure delight! The famous banana bread sprinkled with walnuts. A must for diy ! The taste of a cake batter with cinnamon and vanilla, dotted with ripe bananas and chopped walnuts. A delicious banana cake that is sufficient on its own but also interferes with many elaborate recipes. 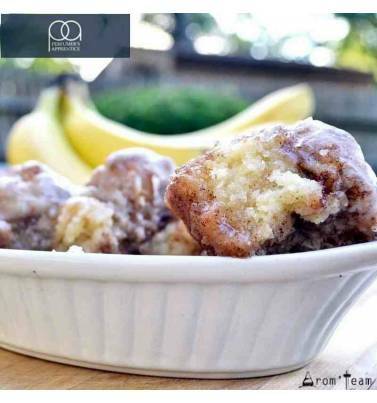 Enjoy a banana bread with applesauce! How to dose this banana nut bread flavoring ? 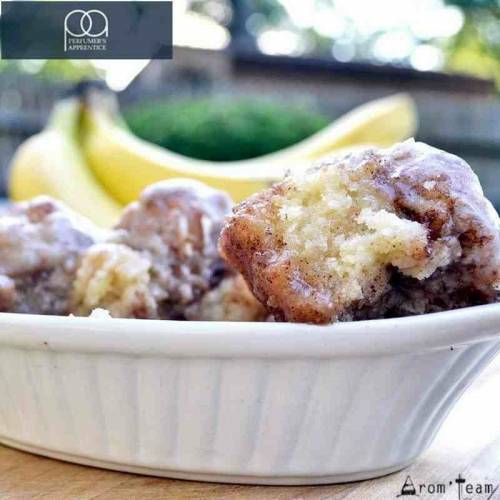 What is the steeping time for a banana nut bread e liquid ?